Spend a few days discovering ancient villages, remote fens and fields touring East Anglia and the lovely counties of Norfolk and Suffolk. Visit the north Norfolk coast, and the broads before heading down to Suffolk and the coastal towns of Southwold and Aldeburgh, and then inland to the pretty town of Lavenham. 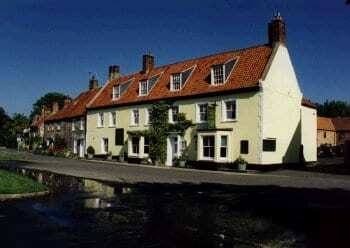 Make your way to Burnham Market on the north Norfolk coast to stay at the lovely Hoste Arms for two nights. Take the opportunity to stroll around the pretty village of Burnham Market before enjoying dinner at the Arms. Spend the day on a wonderful scenic drive along the coast, visiting the pretty villages of Brancaster and ‘The Burnhams’, with a chance to visit the birthplace of Admiral Lord Nelson. The sleepy creeks and backwaters of Burnham Overy Staithe give you a real feel for the haunting Norfolk Coast. A stroll around the town and browsing in the gorgeous shops is not to be missed. 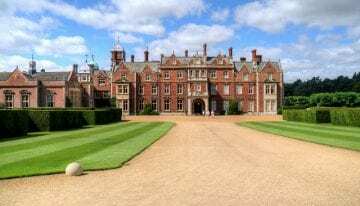 The route also visits the magnificent Sandringham Estate and the grounds and house are beautiful and very interesting. There is also a small display of some of the lovely vehicles used on and around the estate for the Royal family. For steam enthusiasts take the chance to see the Thursford Collection a few miles inland. Continue on to the lovely villages of Cley next the Sea, with it’s beautiful windmill, and along to Blakeney and Wells. You may like to visit the Palladian style mansion of Holkham Hall or the beautiful wild expanse of Holkham Bay with it’s pristine beaches. Drive through north Norfolk and visit the superb Elizabethan Blickling Hall (NT) and onto the Norfolk Broads and see what makes it such an attractive destination. It’s a superb site for anyone interested in the fabulous local bird life (winged variety! ), and it’s great to see an increase in the Norfolk Reed being grown for traditional thatching. Continue on to the Suffolk coast and discover the lovely towns of Southwold and Aldeburgh, the latter famed for its literary associations. 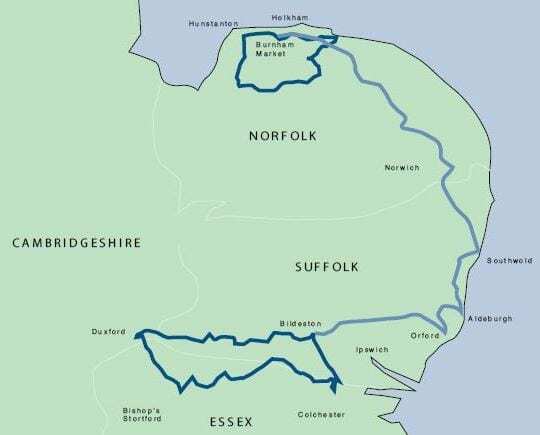 Visit the delightful Snape Maltings and then continue onto Orford, with its impressive castle keep, quaint quayside and boat trips, and Shingle Street, a quiet spot where the River Ore meets the sea. Head west through the lanes to Wickham Market & Needham Market and continue on to Lavenham to stay at the charming Swan Hotel. Spend the morning exploring Lavenham, the most spectacular of wool towns, famed for its unique collection of timber-framed buildings. The appearance of the town has changed little over the years: half-timbered houses lean crazily over the narrow streets, whilst the Guildhall (built in 1529) is perhaps the town´s most prominent feature. The route then takes you on to Long Melford where you can visit both Melford Hall and Kentwell Hall. Drive through the picture-perfect villages of Cavendish, Clare and Finchingfield before visiting the superb Norman castle at Hedingham. The drive then winds its way to Dedham, where you can visit the Alfred Munnings Museum. This is also the heart of Constable Country and it’s just a short drive to Flatford Mill, the scene of four of Constable’s most famous paintings, including The Hay Wain. Return to Lavenham. After a good breakfast depart for home, with another chance to visit Lavenham and Long Melford. Spend the first two nights at the Hoste Arms, a fabulous inn on the green in Burnham Market, north Norfolk. 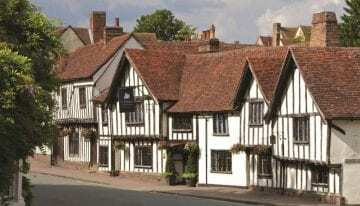 The second hotel, for two nights, is the equally delightful Swan Hotel in Lavenham, Suffolk. It is an original, 15th century, timber-framed hotel.